Restore your mower’s engine with more horsepower than it originally had! 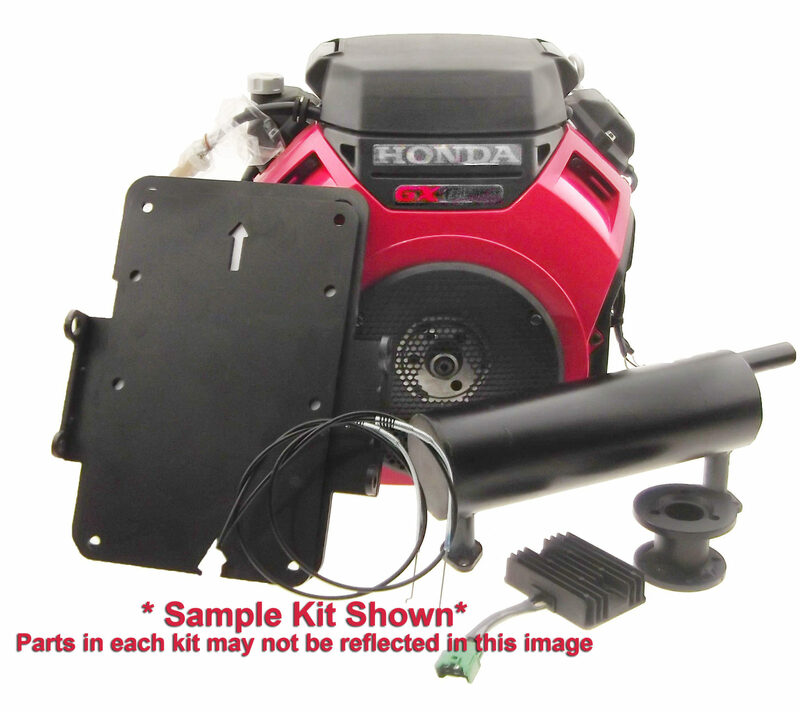 Comes with replacement Honda GX630 23 HP engine, engine mount plate, new custom muffler, driveshaft adapter, hardware, cables and installation instructions. Each kit is made to order, please allow 2-3 weeks for manufacturing time before shipping.